If you use Ubuntu, you may have faced the frustration of trying to find a native way to annotate your PDF files, like say, any of the MakeUseOf PDF manuals you know you can download for free. Unless you run some Windows program via Wine, wait for Evince’s annotation features, or learn to use the incredibly user-unfriendly PDFEdit, you’re pretty much out of luck. That’s when you can be thankful that there are developers focused on making web-based PDF tools. There are plenty of PDF tools, many that are document-viewing sites 3 Websites To View Your PDFs Online 3 Websites To View Your PDFs Online Read More , such as Scribd, Issuu, DocStoc How to Embed a PDF Document Into Your Website How to Embed a PDF Document Into Your Website Read More , etc. that beautifully display PDF files neatly on your browser, but not many of these let you do much other than admire the document. Few web-based PDF tools actually offer annotation features, like the ones you can find in Foxit FoxIt Reader - A Great Alternative PDF Reader for Linux FoxIt Reader - A Great Alternative PDF Reader for Linux Read More (whose Linux version doesn’t actually have annotation tools) or PDF-XChange PDF-XChange Viewer - Give This Free PDF Reader A Second Look PDF-XChange Viewer - Give This Free PDF Reader A Second Look Read More , my favorite reader with customizable keyboard shortcuts. Perhaps, you occasionally use PDF files or maybe have a PDF reader without many or any annotating features, such as the lightweight 4 Very Light Alternatives to Adobe Reader 4 Very Light Alternatives to Adobe Reader Are you still using Adobe Reader for PDF documents? It's time to move on to an alternative PDF reader that is lightweight, launches quickly, and yet keeps your documents save. Read More SumatraPDF 100 Portable Apps for Your USB Stick for Windows and macOS 100 Portable Apps for Your USB Stick for Windows and macOS Portable apps let you take your favorite software anywhere via a flash drive or cloud storage. Here are 100 of them to cover your every need, from games to image editors. Read More or Evince in Ubuntu 6 Free Linux-Friendly Office Suites for Getting the Job Done 6 Free Linux-Friendly Office Suites for Getting the Job Done Read More . 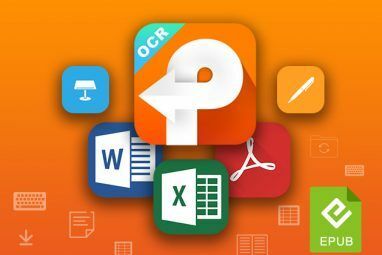 Whatever reason you have for needing a quick way to annotate PDF files, check out the following web-based PDF tools. PDFEscape has been featured on our site as a great PDF editor and form filler with the basic features that most users welcome. You don’t need an account to edit a PDF and can load PDFs from your computer or from an URL. The number of PDF-annotation tools is pretty impressive as you can whiteout (hide parts of your PDF file), and insert links, insert arrows, images, sticky notes, checkmarks and even form fields of several types (text, checkbox, listbox, etc). That’s not where the features end though. PDFEscape helps you delete, rotate and move pages in your PDF file, which even in desktop PDF readers, you usually can find limited support for. You can also encrypt the document with a password, as well as edit the details of the PDF file, such as title, author, etc. You can even save your progress as you’re editing while you’re trying the features out (you don’t have to be logged in), unless you navigate elsewhere and lose your session. PDFEscape saves the annotation to the PDF file, as opposed to Okular, which is a nice PDF reader, but doesn’t save annotations on top of the PDF file, which makes annotations inaccessible in other viewers. Crocodoc is a polished viewer and annotator for PDF, MS Word, MS Powerpoint, PNG, and JPG files. You might be reminded of Aviary’s Falcon tool, which lets you annotate images (great for anyone that wants to annotate a screenshot), and web-based PDF and document viewers, like Zoho’s excellent Viewer, and the Google Docs viewer, but Crocodoc also accepts other file types and has a few other features up its sleeves. Crocodoc also uses HTML5 and CSS3 instead of Flash to display documents with minimal loss of quality when compared to the original files. You don’t even need to create an account as you can upload a file right away when you land on the website. You get a simple viewer with zooming, text (which you can use to fill out forms), drawing, highlighting and commenting tools after your file gets converted. 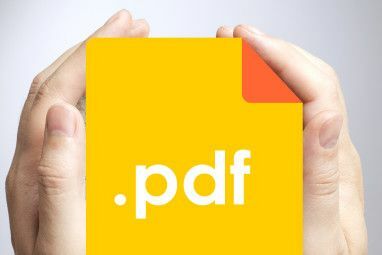 What makes it stand out from the other PDF annotators in this list is that it allows you to share your marked-up PDF file with a shortened link, and even with embed codes! Once you share it, you can choose to let your viewers add comments to your document. 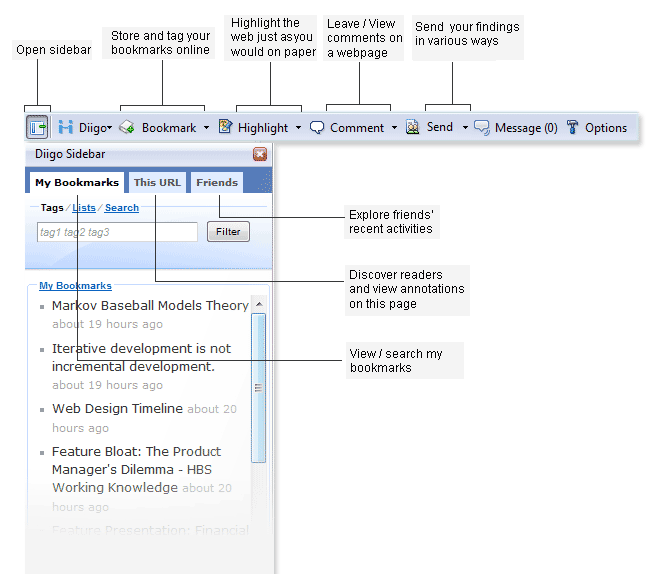 The other unique feature is that you can collaborate with others so you can all view and annotate the file together, even if you’re in remote locations. You can then see all of the changes made to the document in a sidebar. Crocodoc allows you to download the original file as well as the annotated version, which you can view in Sumatra, Evince or your favorite PDF reader, with annotations and all. Honorable mentions would go to PDFVue, (which has many of the same features that PDFEscape offers in slick interface, but brands marked up PDF files with a DocQ watermark) and FillAnyPDF (which is a beautiful form filler and PDF annotator, but in my tests, it didn’t seem to save the annotations to the PDF file so they weren’t visible when used with a desktop viewer). What free software or web-based tool do you use to annotate PDF files? Share your wisdom in the comments! Thanks, Paul. I've reviewed Jarnal, which is very similar to Xournal in that it lets tablet PC users annotate PDFs, but I found that the annotations end up being embedded in the PDF and aren't editable the next time I open that document up. Does that happen in Xournal? Xournal is a native Linux application with a nice interface that can annotate PDFs. It's available in the Ubuntu software repositories (universe). Xournal can save your annotations to a .xoj file which should keep your annotations editable, or export to pdf which embeds the annotations into the pdf like Jarnal. Great, thank you! It's always great to see such capable, open-source alternatives.